New Taipei City has vast territories, spanning 2052 square kilometers of 29 District. 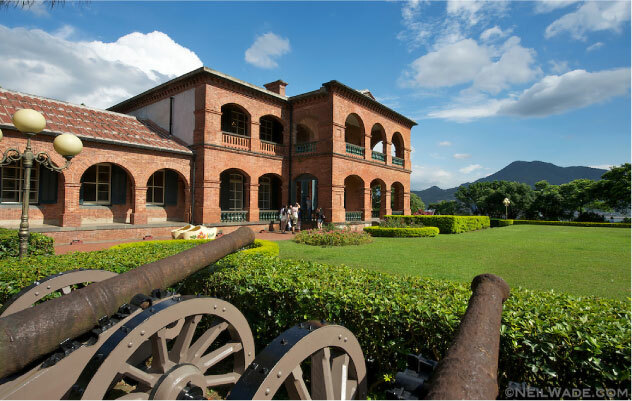 Within its borders is a wealth of difference, particularly when it comes to a sweeping expanse of mountains and cliffs that form the Taipei Basin walls making for natural resources and a rich array of vistas. The northern face of Taiwan's coastline in New Taipei City is 120 kilometers and it has gorgeous sea brinks and beachheads. In recent years, officials have exerted a great deal of effort to update and continuously clean our coasts so that all visitors can leap in the waves and admire the horizons. A side from it seacoasts, New Taipei City is a land of waterways. In its twists and turns, tributaries and branches, Tamsui (Danshui) River is a complicated blend. Among the few large tributaries are Xindian ,Keelung and Dahan Rivers. Now it has become a gorgeous series of riverside parks. Each and every weekend people come out in droves to appreciate the budding of springtime or to bike along the bank trails, making the river a part of their lives. Archeological records indicate that as early as the Neolithic Period, New Taipei City had already had human beings in residence. At the Dapenkeng archeological dig in Bali District remains as early as 7,000 B.C. to 4700 B.C. have been unearthed. It is not only the earliest appearance of Neolithic Era artifacts in Taiwan, it is furthermore the earliest evidence of prehistoric agriculture on the island. Most of the prehistoric land in today's New Taipei City was the abode of Ketagelan and Pingpu tribes, although evidence suggests that Ataiyal tribesmen occupied Wulai. Visitors to Wulai today can see how Ataiyal culture and lifestyle is exhibited. It was not until the Qing Dynasty that Han people began to settle New Taipei City land and immigrant populations from China increased. Up until 1875 (the first year of the Guangxu reign period), Shen Baozhen called for the establishment of a "Taipei Seat," meaning the north (bei) of Taiwan (Tai). Taiwan Province of Qing Dynasty China was established in 1887 with the area around present-day New Taipei City being subordinate to the Taipei Seat. It was not until 1895, the end of the First Sino-Japanese War that the Qing Dynasty ceded Taiwan and New Taipei City was established. Administratively, the region is nothing like what it once was. Today's specific border regions of New Taipei City had not been established until 1967 when Taipei City became a municipality. Though New Taipei City historically developed somewhat later, its pace of growth has been fast. As early as 1979, New Taipei City’s population had already reached the municipality threshold at 1,250,000, statistics from June, 2010 indicate that number had already reached in excess of 3,880,000. The main reason for the increase in population is thanks to a large influx of people from other parts of the country. Statistics indicate that 65% of New Taipei City residents are from elsewhere, increasing viability and diversity in terms of human abilities, customs, cuisine and style, making it one of the most diverse and treasured cultural places in the entire world. The high population of New Taipei City is mainly crowded into Banqiao, Xinzhuang, Sanchong, Luzhou, Yonghe, Zhonghe, Xindian, Tucheng, Shulin and Xizhi district. As a result, we have before us a high prevalence of urbanization. Banqiao District is a fine example, where the City Seat is located. Banqiao has a variety of construction and district plans that creating an important economic and lifestyle circle. A population study reveals that 19 District make up 20% of the entire population base, but it is for this very reason that we have so much well-preserved natural beauty. There is just so much ecological scenery and culture of note. 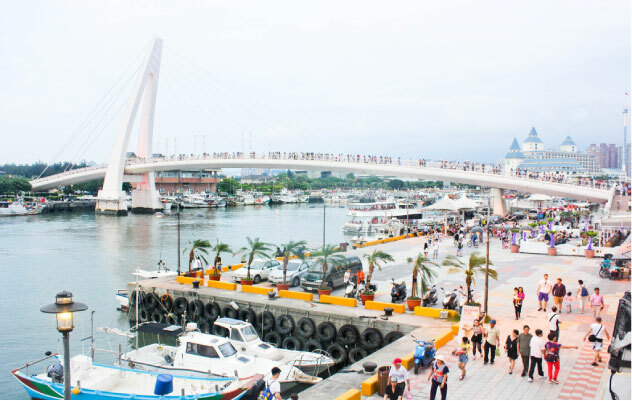 Sanxia, Yingge, Tamsui (Danshui), Wulai, Jinshan and Sanzhi are among the top tourist sites in the nation and it further enhances the economy of New Taipei City. Aside from having captivating history and nature, the former New Taipei City government in recent years worked hard to promote the arts and themed events, such as the well-known Ho-Hai-Yan Gungliau Rock Festival at Fulong Beach, gaining further recognition for the attractiveness of the area.